It's been a long time since I've read these particular titles! Just looking at this book and holding it in my hands makes me want to drop everything and read it right now! I guess I can just hope it makes you want to do the same and perhaps meet a character of Montgomery's that you've not yet met before. Would you care to win this title? Simply leave a comment below. 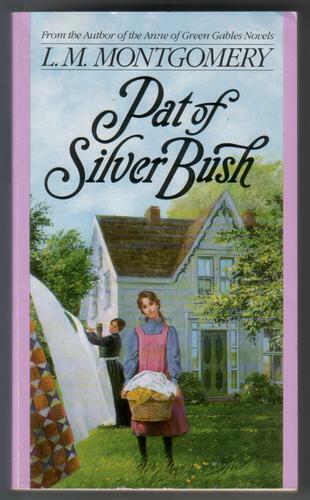 (If you are participating in the Lucy Maud Montgomery Reading Challenge and have written up a post linking back saying so, please feel free to leave a second comment for a second entry.) This contest is open to U.S. and Canadian residents and will be open through Thursday, January 26th. Just doin' my part to spread the Montgomery love around a little! Happy Reading! I've contacted both of the winners and will get their books to them shortly! And I'm participating in LMM. Finally, an L.M.M. book I don't own yet! I'd love to win this. I haven't been posting about the L.M.M. challenge, but I've been taking part in it anyway by reading four short story collections that I'd never read before. I'd like to read this one, too! I'm participating in the challenge. Yes, I would love to win this! I'm participating in the LMM challenge. This is one I have yet to read! Would love to win! Thank you! Oooh! 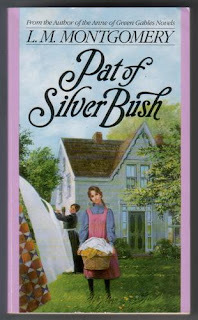 I would so enjoy having a volume of 'Pat of Silver Bush'. I've been wanting to read it for years, but could never find a copy of it anywhere. Here is my chance!! Thank You.